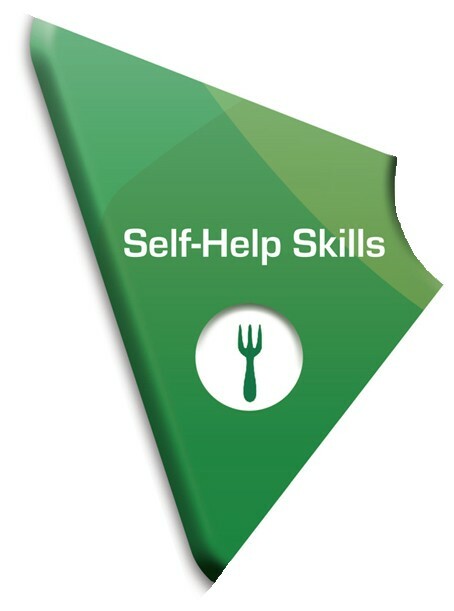 The basic skills you need to take care of yourself are known as self-help skills. Examples include toileting, feeding, and dressing. Children learn self-help skills through a step-by-step process. Being able to do things for one's self is not only basic to being ready for school—these are essential skills children will use for the rest of their lives. Uses the toilet without help. Fastens and unfastens own clothing (zippers, shoes, jackets) without assistance. Helps put away toys or clothes. Keeps track of personal belongings. Covers mouth or nose when sneezing or coughing.